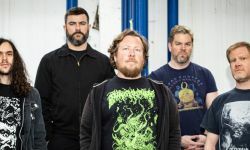 The above press shot Pig Destroyer released yesterday, March 20th, alongside their new single “Cameraman” left some scratching their heads as it found the appearance of a new member and the absence of an old one. 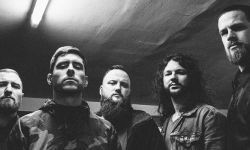 MetalSucks appear to have solved the mystery, having received confirmation from the band’s now previous bassist John Jarvis (also of Agoraphobic Nosebleed/Scour, etc.) that he has indeed exited the group. Though the band have yet to officially announce the identity of their new member, it appears to be Travis Stone (Lody Kong, ex-Noisem).